WinX DVD Ripper Platinum is a Windows-based DVD ripper software capable of ripping any DVD (even the latest encrypted DVD discs/ISO images) to mainstream video formats, such as dvd to avi, dvd to mp4, H.264, MPEG, WMV, MOV, FLV and M2TS. It also doubles as a DVD backup tool! WinX DVD Ripper Platinum faultlessly converts DVD to formats compatible with Apple (iPhone 5S/5C, iPad Air/Mini, iPod/5, Apple TV/3, iTunes), Android (Google New Nexus 7, Samsung Galaxy S4/S5, Note 3, 10.1, HTC One, Kindle Fire HDX), Microsoft (WP8, Surface Pro 2, Xbox One), Sony PSP/PS4, Nokia Lumia 2520 and many more. WinX DVD Ripper Platinum is the fastest DVD ripping solution thanks to the cutting-edge technology that supports multi-core (up to 8) CPU and hyper-threading. 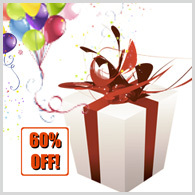 List price $59.95 To , $39.95 NOW! 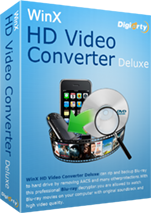 WinX HD Video Converter Deluxe seamlessly converts all HD videos and SD videos into different formats. Preloaded with 370+ video & audio codecs, a high-quality photo slideshow maker, an online video downloader and versatile video editing features, WinX HD Converter Deluxe is sure to up your multimedia power. It is the first and only windows-based video software that supports converting Multi-track HD videos in BDAV, M2TS, MKV, AVCHD, HDTV and MPEG-TS formats into a plethora of different formats with the desired audio language track. It is an online video downloader and converter, an M2TS/MKV to AVI/MP4/iPhone/iPad/Android and a WMV/AVI to Samsung Galaxy/HTC/WP8/Surface converter. List price $49.95 To , $35.95 NOW! The FASTEST DVD to iPhone Ripper. Rip Convert any nDVD to iPhone 4/5S/5C iPad iTunes Apple TV. WinX DVD Ripper to iPhone is the best program to watch any sort of movie on your Apple device. Without having to purchase movies from iTunes or concern yourself with format compatibility, you'll be able to compress and convert DVDs to Apple devices with a click of a button. The high-tech mechanics of the WinX DVD Ripper ensures smooth playback without any lag or synchronization problems. WinX DVD Ripper to iPad is the best DVD ripper software to help you rapidly rip DVDs to iPads without losing high-definition display. WinX DVD Ripper to iPad allows you to get around those pesky copy-protected limitations to watch all your favorite shows on your favorite iPad devices. The software supports DVD to iPad Air/4/3/2, DVD to Apple TV/3, and DVD to MP4, MOV, M4V and H.264 conversions. WinX Video to iPhone converter is one of the most use-friendly program that converts an array of videos to Apple device formats. Not only does it have an simple interface, but also has the an astoundingly fast conversion speed. Now your favorite videos, including precious family home videos, can be with you on the go for you to watch at your convenience. WinX Video to iPad converter is definitely an easy-to-use iPad/iPad4 video converter that allows you to convert HD (High-definition) videos, standard videos, in addition to camcorder videos to iPad2/3/4 /iPad Air/iPad Mini (New) and Apple TV. WinX Video to iPad Converter is the perfect tool for those who love simple, easy and clean interfaces with fast and stable conversion. What's the difference between WinX DVD Ripper Platinum and WinX HD Video Converter Deluxe? WinX DVD Ripper Platinum can easily rip/convert DVD to VCD, SVCD, AVI, WMV, RMVB, MOV(Apple devices), MP4(Android devices, PSP) etc formats, while WinX HD Video Converter Deluxe can not. WinX HD Video Converter Deluxe lets you rest assured that all kinds of standard and high definition videos can be flawlessly converted or compressed to fit your media players in an easy way even create your home DVD but can not rip DVD. Package:WinX DVD Ripper + WinX HD Video Converter Deluxe only $40.95 Valid before Dec.31! Weisoft Limited is a well-known and professional developing company dedicated to providing consumers with the best digital video and audio software. Digiarty is our core partner in the DVD ripper and video converter market. Convert between AVI, MPEG, WMV, DivX, MP4, MPEG-4 AVC, RM, MOV, MKV, 3GP, FLV, etc.